Dzeel Clinical is proud to announce we have received The Joint Commission’s Certification for Health Care Staffing Services effective September 19, 2013, therefore achieving The Joint Commission Gold Seal of Approval! We have met the national standards addressing how staffing firms determine the qualifications, placement and competence of our staff and how we monitor performance. Certification recognizes our continued education and commitment to provide quality services to both clients and staff. We would like to thank everyone that assisted us in this application process. Your efforts were very valuable in obtaining this certification. 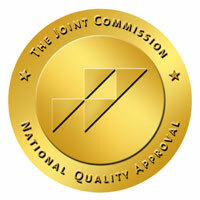 Since 1954, The Joint Commission has been the national leader in setting standards for health care organizations. When a health care staffing firm seeks certification, it demonstrates a strong commitment to providing safe, high quality health care and to continually working to improve the care. Our goal is to always provide you with a consistent level of service. If for any reason you are dissatisfied with our service or the service provided by one of our healthcare professionals, we encourage you to contact the local manager to discuss the issue. Dzeel has processes in place to resolve client complaints in an effective and efficient manner. If the resolution does not meet your expectation, we encourage you to call the Dzeel corporate office at 866-598-1523. A corporate representative will work with you to resolve your concern. Any individual or organization that has a concern about the quality and safety of patient care delivered by Dzeel healthcare professionals, which has not been addressed by Dzeel management, is encouraged to contact the Joint Commission at www.jointcommission.org or by calling the Office of Quality Monitoring at 630.792.5636.